Whitney Podboy (Cellar Door coffee shop), Rusteen Shelley (The Tiny Jelly Company) and farmer Sara Hill have combined their respective talents and collective passion for community to organize Garrettsville Farmers’ Market, to be held every Thursday, 4-7pm, June 21 through August 30. 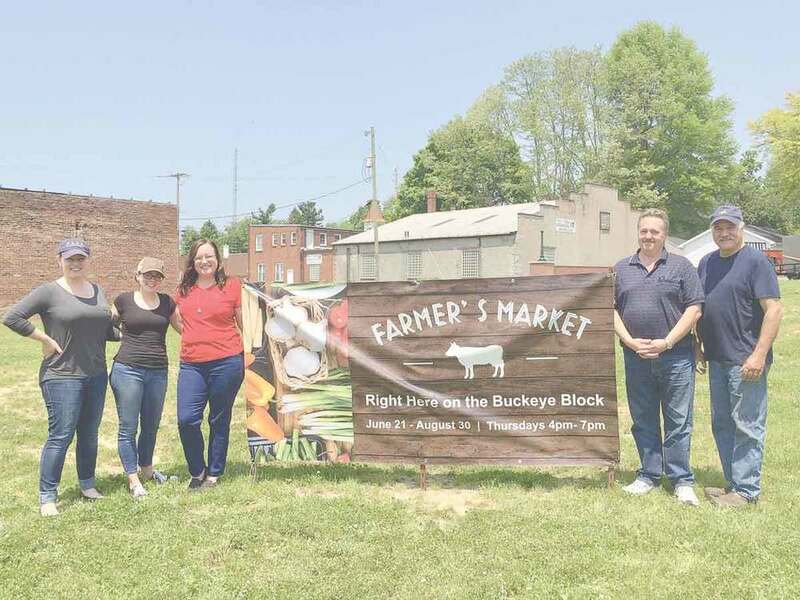 With the support of Mayor Rick Patrick — who assisted in working out logistics, and Buckeye Block property owner Mick Maschek, who has donated use of the land — the farmers’ market will debut the week of Summerfest. The annual summer festival will have carnival rides on the Buckeye Block for just the weekend of June 21, so the market will set up shop on the other side of the brick Carlson building on Main Street. For the remainder of the summer, the market will take place on the larger Buckeye Block parcel.